The focus of Asian Strategic Review 2017 is on tracing the contours of the current energy markets, the policies adopted by some of the key nations in their quest to enhance their energy security, and the challenges that are likely to come up in the future. With huge supplies, including from unconventional plays, and its low carbon properties as compared to oil and coal and decreasing transport hurdles, natural gas has what it takes to fulfil the escalating demand for energy. Yet, the promise that it held a few years ago as the fastest growing major source of energy appears to be fading, ironically due to abundant supplies. Rivers are the most visible form of fresh water. Rivers are ancient and older than civilizations a 'mini cosmos' spawning history, tales, spirituality, and technological incursions. Flowing rivers are the largest renewable water resource as well as a crucible for both humans and aquatic ecosystem. The US' claim that it will become energy independent shortly on the back of the revolution in its shale resources technology has been followed by Washington's announcement of its 'rebalancing to Asia' policy. This monograph looks at the sustainability of the shale revolution, and whether the US' claims are indeed justified and the geopolitical consequences and strategic implications thereof on the global energy scenario. In an interconnected world with interlinked issues, understanding Climate Change and the Arctic and exploring the intersection between the two is extremely important. The monograph addresses Climate Change as a security risk; as a geopolitical orientation and as an energy challenge, and maps the impact of these narratives on the Arctic. The Centre focuses on security challenges that are not considered mainstream. The methods and tools employed to address non-traditional security challenges are evolving. It includes within its fold unconventional thinking and it challenges orthodox understandings. The 21st century presents new paradigms to security. Politico-military threats have been joined by security issues relating to energy, water, food, environment, and climate change. Accordingly, the focus areas of the cluster have been energy, water, environment and climate change. In 2008, a working group presented its report in a national workshop on security implications of climate change for India. Experts presented papers on renewable energy, climate change and foreign policy, and the role of the military in environment. A Task Force on water security has been formed to revisit all internal and external facets related to water. Experts are also focused on WTO, energy, and climate change and the geopolitics of climate change. This study compares Indian traditions of statecraft in Kamandaka’s Nitisara, or the Elements of Polity, with the earlier foundational root text of Kautilya’s Arthashastra. There are commonalities, dissimilarities and uniqueness in the texts. However, key values and concepts across time do not seem to have changed and remain relevant even today. The world is entering an era with increased global demand for energy, price volatility, and rising concerns about environmental burdens and the global impact of climate change. Directly or indirectly, these factors have given rise to related concerns such as deregulation and geopolitical uncertainties. Moreover, the challenges related to the energy issue go beyond scientific or technological aspects and extend to access to resources, regional conflicts, pricing and energy infrastructure management. 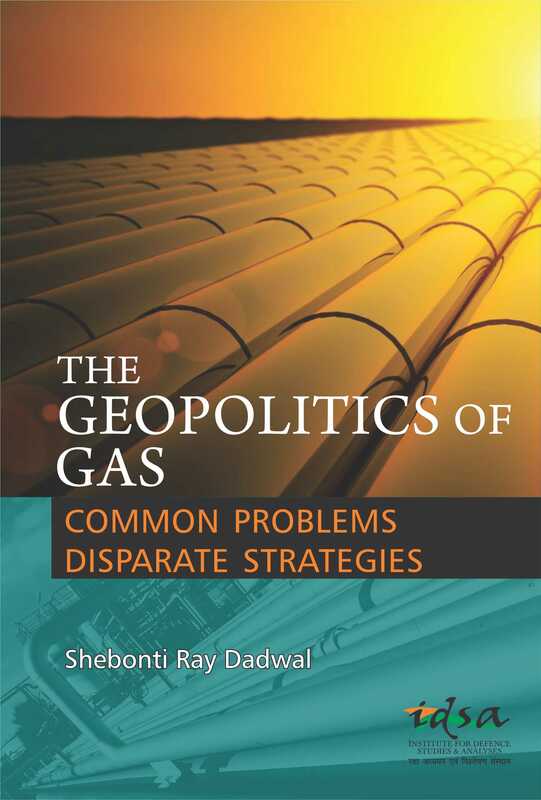 This volume looks at the evolving gas market and the various players who influence it -- both as producers and consumers. However, some of the players, such as Australia and the new African producers, as well as Japan and South Korea, the two largest LNG consumers, have not been included as their approach tends to be more commercial than geopolitical in nature. Rivers are the most visible form of fresh water. Rivers are ancient and older than civilizations a ‘mini cosmos’ spawning history, tales, spirituality, and technological incursions. Flowing rivers are the largest renewable water resource as well as a crucible for both humans and aquatic ecosystem. Asia is challenged by a number of non-traditional security issues including the food–energy–water nexus, climate change, transnational crime, terrorism, disaster relief and economic performance. This volume categorizes and clarifies some key emerging issues in the area and looks at their interconnectedness and implications. This article examines India’s efforts to achieve food security. It traces the problem, from the inadequate production of food grains during colonial times, to the challenges of procurement, storage and distribution of cereals in post-independence India, after achieving self-sufficiency in food production. The establishment of the Public Distribution System (PDS) and its evolution into the Targeted PDS and the National Food Security Act are outlined. The role of the Food Corporation of India and the efforts to improve it, are discussed. 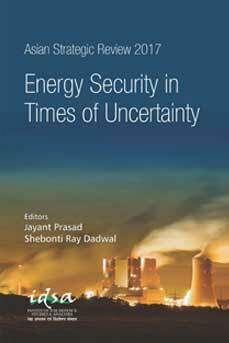 Energy security has evolved to become strategically important for countries, such that the domestic availability of energy resources, coupled with the national energy demand, as well as import and export dependencies on energy resources, have important implications for a country’s economic growth, human development and strategic autonomy. This is especially important for India, which is heavily dependent on imports to meet its domestic energy demand. The generalist reader, as also those interested in indigenous historical knowledge, owes a debt of gratitude to Professor Subrata K. Mitra and Dr. Michael Liebig for bringing out this remarkable study. This is especially so since the IDSA has been investing for several years now in studying indigenous historical knowledge and its links to modern Indian political thought. Professor Mitra and Dr.
President Trump’s decision to withdraw from the Iran nuclear deal has sent oil prices soaring again. Even prior to the May 8, 2018 announcement, after falling to below $30 a barrel in early 2016, oil prices were on the boil again, belying the projections of market analysts, including those of the respected International Energy Agency (IEA), that the era of $100 plus per barrel of oil was over. The projections were based on the assumption that nations would move increasingly away from oil—and coal—to meet their carbon mitigation commitments under the Paris Agreement. In 2012, the International Energy Agency (IEA) in its ‘World Energy Outlook’ said that the world was entering a ‘Golden Age of Gas’. With its lower carbon-emitting properties, gas seemed poised to claim its rightful place in the global energy mix as a bridge between polluting hydrocarbons and green renewables. Moreover, it has all the ingredients to make it as worthy a contender in the energy geopolitical game as did oil a few decades ago. With US sanctions in place on the Venezuelan oil industry, global oil prices are set to rise once again, which may have major geopolitical and geo-economic consequences. A strategic petroleum reserve offers India the leverage to be a serious player in the international oil market, as it will have the option to release supplies when prices spike and recharge the reserve when prices are low. The value of the Caspian energy reserve lies in its potential to add to global reserves of oil and gas, which, in turn, could bring down costs. 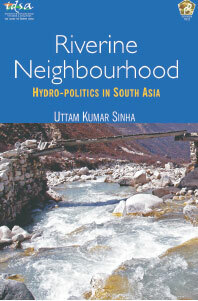 The upper riparian China is uniquely positioned to influence the flow of Yarlung Tsangpo/Brahmaputra into lower riparian India. In the absence of a water sharing treaty, the Chinese decision to build more dams on Yarlung/Brahmaputra and continued evasiveness on its long-term plans would remain an issue of major concern for India. Given that Iran accounts for around 10 per cent of India total oil imports, the immediate factor for New Delhi will be to look at various options to deal with the situation without jeopardising its energy security.